Every vehicle is prone to wear and tear to some extent. But by having yours checked regularly, you can keep every part of it running smoothly and so prevent unnecessary - and often expensive - repairs later on. At Stacey's Motors, we offer a general check and other specific 'Wear and Tear' checks, which you can find out about below. You are welcome to a free Visual Health Check at any time. Just call one of our expert service departments and they will book in your vehicle at a time convenient to you. Alternatively, whenever you bring your vehicle in for a service or repair, you can choose to have a Visual Health Check, free of charge. Our trained technicians will run an expert eye over your vehicle and provide a written report with an explanation of any findings. You'll receive a competitive estimate upfront for any work needed, but you're under no obligation to have it done. Some concerns registered. If not rectified, these items need monitoring to ensure safety and/or reliability and to avoid additional costs. Have been checked and are in satisfactory condition. Our expert staff will explain the report fully to you, to help you decide what action to take, if any. 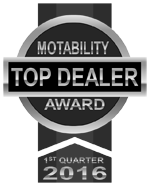 As a Hyundai dealer we value our customers and have a set of commitments for excellent customer service.